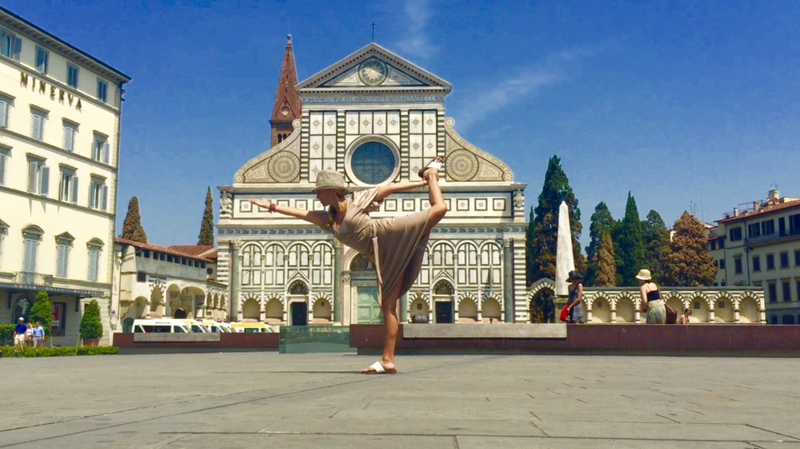 Our home for this training is none other than world famous Florence, Italy! A place where time has stood still. The energy is so grounding that you feel tapped into learning from your highest self. And a thriving cosmopolitan city that is a joy to experience day in and day out. We recommend that you leave 2 days early for the start of this training. This means you will arrive the next day into Florence giving you time to take a nap. Then go out that evening for an early dinner, enjoy the Ponte Vecchio, which literally translated means “old bridge”. It is a Medieval stone closed-spandrel segmental arch bridge over the Arno River, noted for having wonderful jewelry shops built along it. 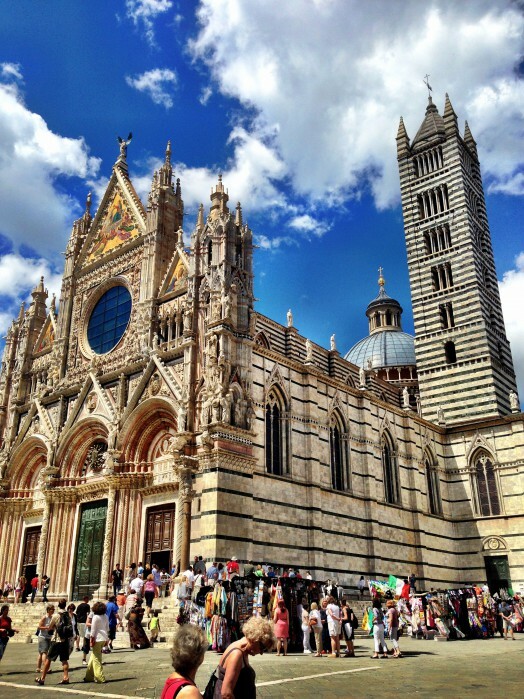 #1 Florence’s most popular site is its Duomo (cathedral), the Cattedrale de Santa Maria del Fiore. The huge Gothic duomo was begun in 1296, consecrated in 1436, and holds 20,000 people. Its exterior, made of green, pink, and white marble. Brunelleschi’s Dome is a masterpiece! #2 The Campanile, bell tower, is in Piazza del Duomo. The first story was designed by Giotto and it is commonly called Giotto’s Campanile. 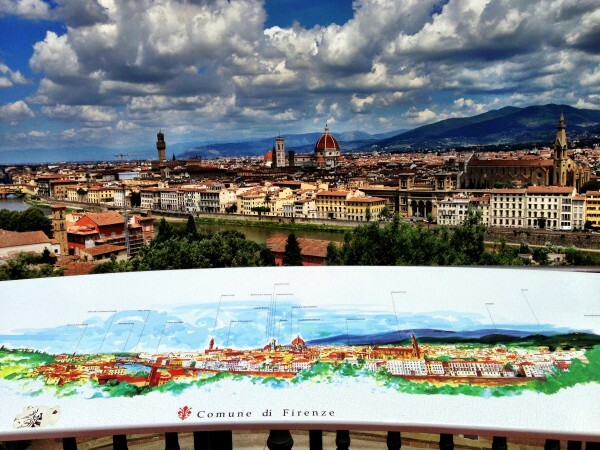 Buy a ticket and climb the 414 stairs for great views of the Cathedral and its dome and the city of Florence and surrounding hillside. #3 The Galleria degli Uffizi holds the world’s most important collection of Renaissance art but it’s also Italy’s most crowded museum so it’s a good idea to buy tickets ahead to avoid long ticket lines (use the link above for booking information or buy tickets from Select Italy). The Uffizi holds thousands of paintings from medieval to modern times and many antique sculptures, illuminations, and tapestries. Artists whose works you’ll see include Michelangelo, Giotto, Botticelli, Leonardo da Vinci, Perugino, and Raphael. #4 Across from the Ponte Vecchio is the Giardino di Boboli, a huge park on a hillside in the middle of Florence behind the Pitti Palace. Here you’ll find beautiful gardens and fountains and a great view of Florence from the Forte Belvedere. Open daily at 8:15 with seasonal closing times. #5 The Pitti Palace, Florence’s largest palazzo, was once the seat of the Medici family. You can visit 8 different galleries, including art, costumes, jewelry, and apartments. Incredible! #6 Florence has some of the finest shopping in Europe. In Florence you’ll find leather goods, paper goods, and jewellry as well as nice souvenirs and art productions. Florence has a number of open air markets selling food, clothing, and antiques. The most famous is around Piazza San Lorenzo where you’ll find leather goods, too. Another good place is Mercato Nuovo (Porcellino) on Via Porta Rossa. Mercato Centrale is a great place for food shopping or just looking. #7 Piazzale Michelangelo: This piazza boasts some of the best city views anywhere; it’s where you’ll need to go to get that perfect postcard picture of Florence. It sits atop a hill above the Oltrarno neighborhood, on the opposite side of the river from the Duomo. 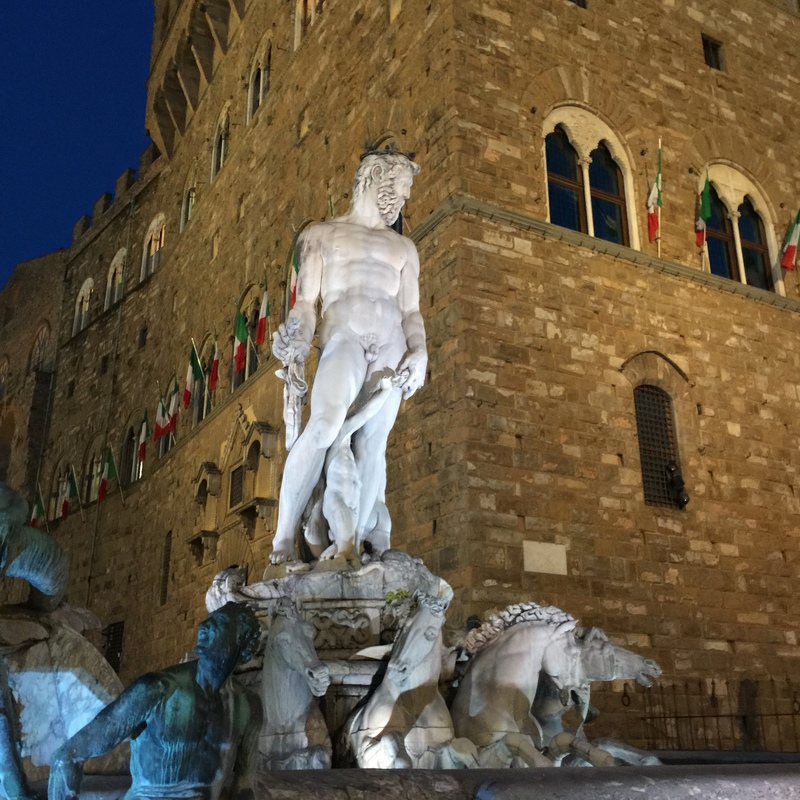 Built in 1869, this piazza is dedicated to Michelangelo and features replicas of some of his famous sculptures – including a large bronze David standing in the center of the square. Accommodations can easily be arranged.